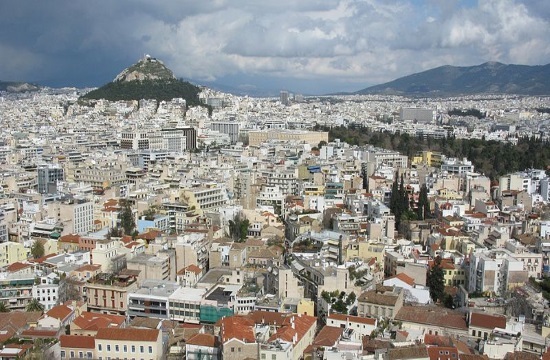 The Greek government's proposal to replace the soon-to-expire legal protection extended to households' primary residences from creditors' demands will, by all accounts, revolve around three main axes, naftemporiki.gr reports. The so-called "Katselis law" expires at the end of this month. Up until now, households in Greece with certain income criteria and with residences valued under a specific amount could protect their property from creditors' demands, chiefly emanating from non-serviced mortgages held by Greece's systemic banks. The Tsipras government has been hard pressed to attain a compromise that continues protection for over-indebted households, on the one hand, with demands by banks and creditors that any new framework include stricter criteria in order to root out so-called "strategic defaulters", and to help reduce a massive load of "bad debt" held by banks in the form of NPLs. According to media, the poll-trailing government wants to keep the threshold for primary residences' protection at the current 200,000 euros of objective tax criteria, meaning the value that the tax bureau ascribes to the property. The government, according to the same sources, wants to protect primary residences used as a guarantee (collateral) to secure consumer or business loans. The government proposal also foresees, among others, the prospect of a "haircut" for the amount of the loan corresponding to a primary residence that surpasses the objective tax criteria value of the property. Another facet includes the prospect of extending the maturity of the loan, by up to 25 years, and setting a new interest rate at nearly 3.5 percent - based on current market conditions, namely, the fact that the Euribor rate is currently offering a negative yield. Another importsant element of the government proposal is for up to one-third of the monthly payment to arise from the restructuring to be subsidized by the state for economically weaker households and taxpayers. Currently, a simple application, accompanied by supporting documents, submitted to a district court provides a home owner with temporary protection from creditors. The legal protection last until a full court hearing, which can last up to two and a half years. Available statistics indicate that 60 percent of the such applications for legal protection under the Katselis law are eventually approved by courts. On their part, Greece's thrice-recapitalized banks seek the more-or-less blanket protection of primary residences from creditors - i.e. foreclosures and property auctions - to cease. Banks also aim at an electronic platform employing specialized software to replace the current district court setting as the initial "filter" for submitting such applications. Furthermore, the credit institutions want the new legal protection framework to cover only mortgages, and not NPLs comprised of other types of loans where the property was used as the guarantee. The most crucial demand by banks, and the "sticking point" so far in talks with the government side, is for a maximum protection threshold of 100,000 euros in objective tax criteria for the property. Finally, Greek banks are reportedly rigid in their opposition to any horizontal "haircut" of the loan amount that exceeds the value of the property.